The Windows were regional favorites during the 80's. Touring extensively, they played coliseums, college campuses, and nightclubs throughout the Southeast. Opening act for The Beach Boys, Peter Frampton, Jefferson Starship, and many others. Sold over 10,000 units of this album on vinyl when it was released in 1987. 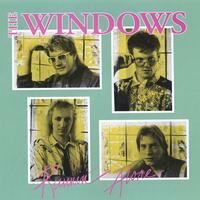 Re-release of the 1987 album by The Windows on CD. Digitally remastered with two bonus tracks, "Oh, Rene'" and "Never Let You Go". Contains the hit radio songs, "Motorcar" and "Big Enuff". how this high energy band never got a record deal is beyond me and the tens of thousands of fans that poured into the clubs and arenas where these guys played. it is pure eighties rock and roll, with great harmonies and a lead singer that had one of the greatest voices in rock and roll, period. if you liked the cars, if you liked the producers, if you just like eightes rock and roll, then this CD is a steal at this price and you need to give it a listen. the album was produced by John Hampton, who later produed Gin Blossoms. supposedly the band ran out of money while recording the record at Ardent studios and had to settle for a ten track recording! OH RENEE was always a favorite of mine when they played live, so it was great to actually find a recorded version of this song. The title track is my favorite sing along track (too bad i cant sing), although MOTORCAR was the radio hit. PHOTOGRAPH, BIG ENUFF and DONT HANG UP are sensational toe tapping standouts. There is no way you can listen to these songs and not move a body part or two. it has a great groove. the only problem i had with the CD, other than it took so long to be released, is that i wish somehow the bonus tracks would have been inserted in differant places, rather than at the end of the CD. Call it nostalgic behavior, but the incredible vocal arrangement at the end of the song VOICES was the best conclusion to a recording that i have heard since ABBEY ROAD. unfortunately, with the sudden death of their keyboardist at a time when record companies didnt really like lineup changes, record companies passed them over. Even so, this band sold over 10,000 copies of this record out of the back of their cars, without so much as a push from any record label. that should tell you how talented this band was! this is a band that should have been famous. . . . . . The song MOTORCAR is worth the price of admission alone. I was randomly checking things on CDBABY and came across this great band....glad I did. Great pop record! I don't usually spend time writing reviews but I had to write something about this cd. This is a fantastic slice of AOR / Melodic Rock from the best era in music. The melodies are infectious , the hooks are massive....I don't know why these guys weren't HUGE back in the day. The sound definitely sits somewhere between Loverboy , Hunter , Eddie and the Tide , The Cars and Frozen Ghost. Out of all the cd's at CD Baby , this is among the best on this site.... Bottom line , if you love 80s Melodic Rock / AOR then YOU MUST OWN THIS MASTERPIECE!! WOW!!! This is the album that was released on cassette in 1987, then remastered to CD in 2001. Any fan of the Windows should own it. I agree with the earlier post; It's a shame these guys never went nationwide. The sound is somewhere between The Cars and Def Leppard, and they were at least as talented as either of them.